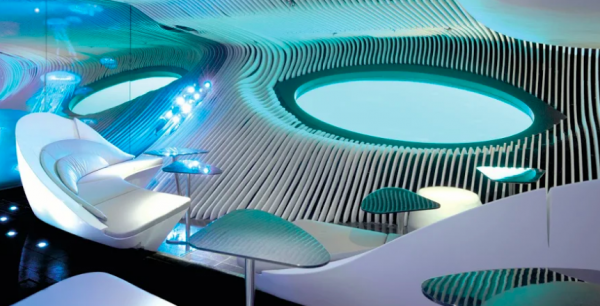 Two eye-shaped portholes provide a look underwater while three cameras channel views of the ocean bed into the lounge. Sound expert Michel Redolfi has developed hydrophones to transmit the ocean’s sounds, while “body listening sofas” discreetly vibrate in unison with the sound of the ocean. Le Lapérouse has 92 staterooms and suites, each featuring their own private balcony or terrace. It also offers two dining options, a library, and a wellbeing center. 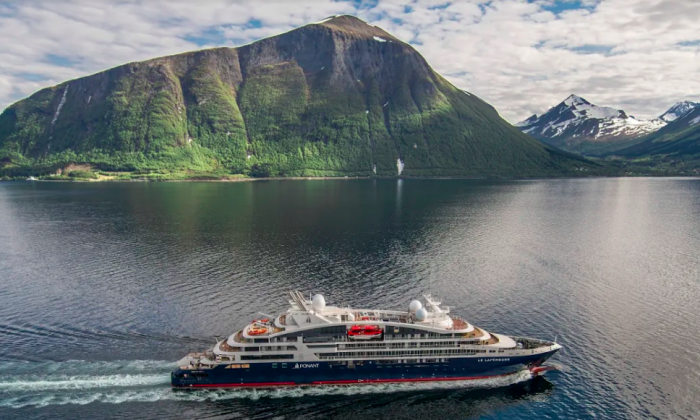 Ponant has plans to increase its fleet to 12 ships, with 2,000 crew members and 460 departures by 2021. 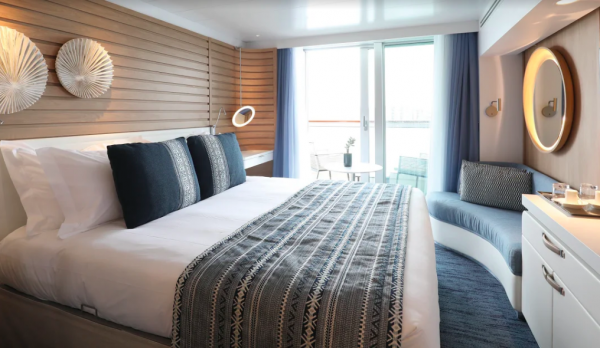 The next ships, Le Bellot and Le Surville, will be out in 2020; 2021 will also be a big year for Ponant, as it will launch the industry’s first electric hybrid cruise icebreaker, powered by liquified natural gas. It will also be the first luxury ship to sail to the true geographic North Pole. Fares for Le Lapérouse begin at $3,900 based on double occupancy. Upcoming expeditions include “Chopin and the Music of Spain” (Oct. 26–Nov. 2), sailing along the coast of Spain via Corsica and the Balearic Islands, in partnership with Radio Classique, with special guest Alain Duault. Stops include Menorca, Palma de Mallorca, Barcelona, and Marina di Carrara (home to the famed quarries from which David was hewed). Another expedition will take guests to the Seychelles, Maldives, and Sri Lanka, exploring underwater wildlife (Dec. 11–21), with opportunities along the way to visit the colorful markets of the Seychelles, discover the Baa atoll (a UNESCO biosphere reserve), see the old town of Galle in Sri Lanka, and to dive and snorkel.